Doping is undoubtedly one of the most controversial issues within sport. Doping scandals wreck the careers of sportsmen and women,they can bankrupt governing bodies, infringe personal liberties, threaten livelihoods, tarnish images, galvanise the European Union, undermine the Olympic Movement and invoke invective from politicians. In recent years, sports law has developed into one of the most exciting and challenging legal disciplines and the importance of the law in doping matters has been heightened by the influx of money into sport and the development of sport as a global economy. Drugs and Doping in Sport brings together work from leading academics, practitioners and administrators, analyses contemporary socio-legal and political themes related to doping in sport. 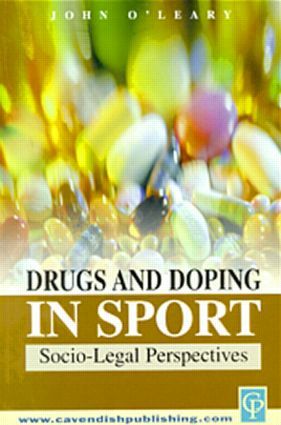 It provides a challenging and often controversial view of doping issues and confronts political and legal orthodoxy, supplying the reader with a unique insight into this fascinating area of academic study.